Given the seriousness of DUIs and the extreme danger of driving while intoxicated, we felt it was appropriate to spend several days discussing the topic here on the Van Norman Law Blog. So far we have talked about blood alcohol concentration (BAC) and its role in determining intoxication in addition to discussing the penalties for DUI offenses. Today, we are going to discuss ignition interlock devices, sobriety checkpoints, and dram shop laws in more detail. Ignition interlock devices are installed in the vehicles of DUI offenders. In order for a person to start a vehicle with an ignition interlock device, they must fist blow into the breathalyzer. The device will read the driver’s BAC. If they register a non-negligible BAC, the car will be disabled, and the device will make a digital log of the event. Ignition interlock devices will also prompt the driver to provider readings at random intervals while the car is in operation. If they fail to provide a reading, or if there is alcohol on their breath, a warning will be set off, and the device will make a digital log of the event. Sobriety checkpoints are locations in which law enforcement officers perform spot checks on drivers to detect signs of intoxication. They are currently used in 38 states. 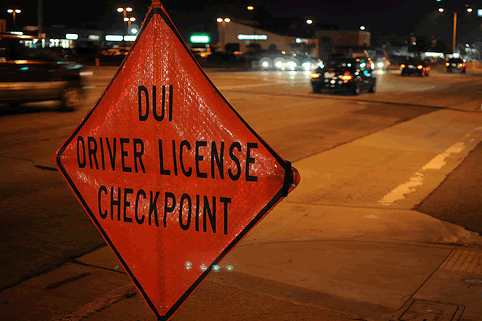 Here in Arizona, the legality of sobriety checkpoints has been challenged and upheld under the federal constitution. Typically, sobriety checkpoints will be set up on nights/days when officers have reason to believe the frequency of drunk driving will be high. While the cost of setting up and operating a sobriety checkpoint is approximatly $8,900, studies have shown that they prevent approximatly $62,500 of potential property damange and reduce fatalities by roughly 15 percent.